Purpose and personalisation are critical to IGA as its strives to put the heart and soul back into Australia’s grocery shopping market and experience, the supermarket giant’s GM of marketing says. 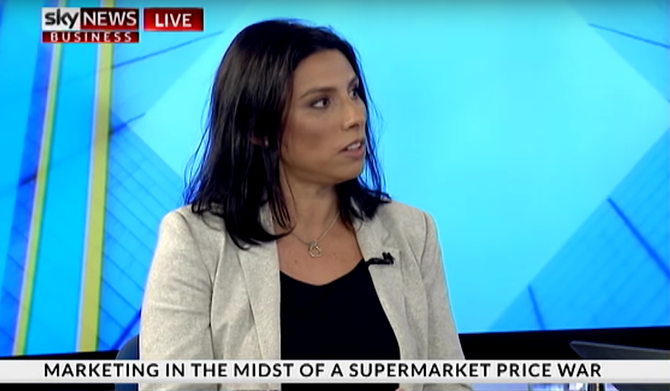 Speaking on her role and the brand’s ongoing transformation journey during the latest episode of AANA’s Marketing Dividends program, Madeleine Fitzpatrick said providing local retailers with store-level insight, data and support that allows them to truly localise is making a real difference to the future of its independent store owners in an increasingly competitive supermarket landscape. IGA’s parent company, Metcash, is now two years into its transformation plan aimed at creating a sustainable future for independent businesses in Australia. It’s a program of activity that stretches from digital investment through to expanded private label and third-party product lines that are also tailored to catchment areas, more competitive pricing and data utilisation. Fitzpatrick highlighted a number of strengths at IGA, including the ability to provide retailers and customers with a tailored offer, to partner with local suppliers, and to be active in the local communities it serves. Purpose lies at the heart of all of these activities, she continued, and she pointed out the shared goal is to be shopper led and improve the customer experience. Being a challenger brand also gives the IGA marketing team more freedom to be brave, as they have both more to gain and less to lose, Fitzpatrick said. “Working for a challenger brand allows real issues and opportunities to be addressed because there is no bureaucracy driving protection of market position,” she claimed. At the same time, supporting a network of independent retailers means marketing must be completely on top of its game, Fitzpatrick said.